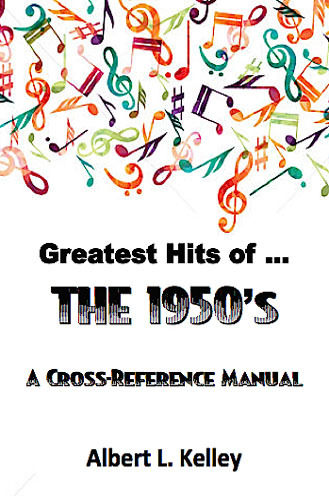 This is an indispensible cross-reference manual to the 1950's. That era brought a wealth of music that still remains popular on the radio today. 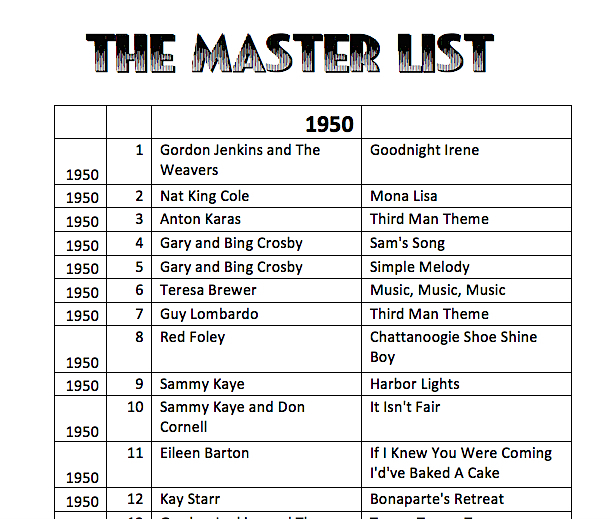 It was a transitional period from the orchestral hits of Guy Lombardo and the vocal stylings of Frank Sinatra and Perry Como to the folk music of the Weavers to the early rock of Bill Haley and the Comets, Jerry Lee Lewis and Little Richard. It was a time of the American songbook tunes like Doggie In The Window and Doo Wop songs like Why Do Fools Fall In Love. It was the decade that saw the end of the life and career of Mario Lanza. And it was the start of the career of a young singer named Elvis Presley. It was the decade that laid the foundations of all music that was to follow.